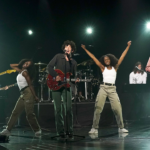 Børns hit the stage on The Late Show with Stephen Colbert with a fire track titled “I Don’t Want You Back”. Garrett Clark Børns performance was like a post Valentine’s Day hangover, and a moment of clarity. 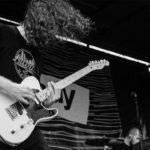 Børns Garret and Connor use Ernie Ball Regular Slinky and Paradigm Regular Slinky. Frank Turner released a titled track “Be More Kind ” from his new album which is available for preorder here . The song has an amazing universal message we can all take to heart. 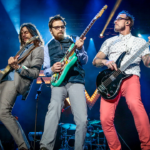 Frank uses Ernie Ball Earthwood 80/20 Medium Acoustic and Not Even Slinky Electric guitar strings. Ernie Ballers Post Animal released a new single “Ralphie” which has attention grabbing syncopation with a blend of dreamy vocals and hooky guitar layers. 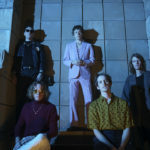 Their record, When I Think Of You In A Castle, is out April 20th. Post Animal play Regular Slinky and Regular Slinky Bass Strings. 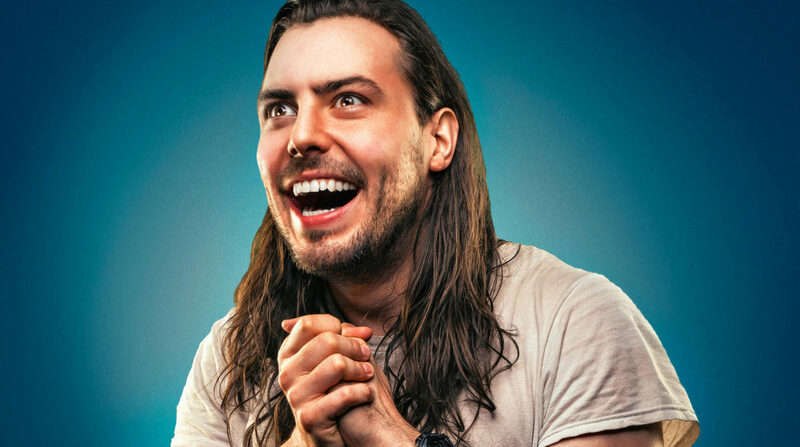 Party extraordinaire Andrew W.K. has released his first album in 12 years titled You’re Not Alone. It is streaming currently on NPR and is full of amazing party jam! 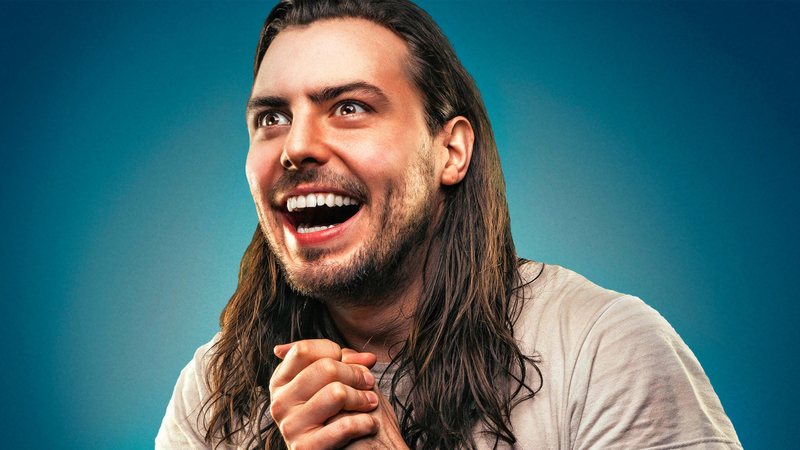 Click on the extremely happy photo of Andrew W.K. below to take a listen. 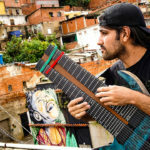 Andrew Plays Ernie Ball Cobalt Power Slinky. Hot Water Music has released a new music video on Rise Records for their song “Bury Your Idols.” The tune is complete with shouting lyrics of individual growth, with lines like “YOU’RE THE ONLY ONE THAT’LL MOBILIZE YOUR DREAM.” The record, Light It Up, is available now. Hot Water Music plays Ernie Ball Regular and Power Slinky guitar strings, and Hybrid Slinky Bass strings. Knocked Loose hit the road headlining a national run. Definitely a show you won’t want to miss (ARF ARF!!) Knocked Loose play Ernie Ball Cobalt Skinny Top Heavy Bottom 7-String, 7-String Regular Slinky and 5-String Power Slinky Bass Strings. 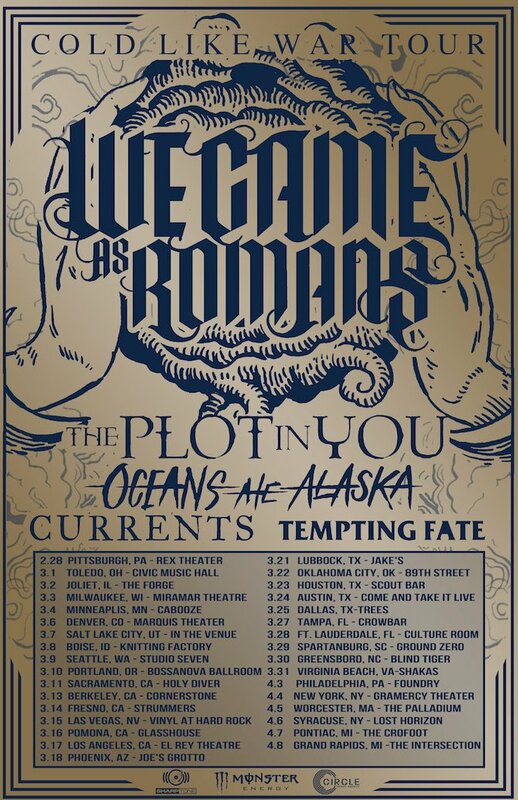 Long time Ernie Ballers We Came As Romans are going to hit with road with fellow Ernie Ball favorites Oceans Ate Alaska on a full national tour named Cold Like War Tour. WCAR play Custom 10-70 gauge guitar string sets and 55-130 bass string sets. Oceans Ate Alaska play Beefy Slinky and Custom 12-64 gauge guitar strings. 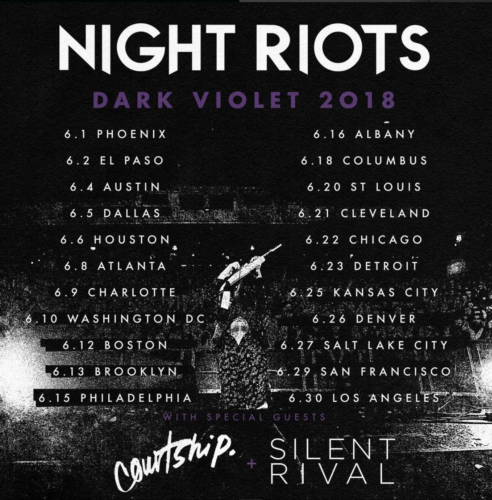 Night Riots hit the road tickets go on sale this Friday March 2nd.